Hi! Sorry I haven't posted in almost a year, I was busy. Anywho, I bring forth an illusion that not many people know about. In the Canadian flag, you see the maple leaf, and the red bars at the sides... Etc. But you can also see the profiles of two men arguing in the sides of the maple leaf. See for yourself. Posted by Optiguy at 10:55:00 a.m.
i wonder what life would be like if the canadian flag was blue? February 22, 2009 at 1:30 p.m. It would be horribly terrifying. February 23, 2009 at 7:28 p.m.
"The IMtimes 7331, pwned ur 422, boom headshot, g0 dr.wh0"
lol who is this nub? and why does he speak noobish? what kind of word is teel? lol. and azz. doctor who pwns. and, yes, i agree. hey, opti, wanta join meh blog? March 10, 2009 at 4:48 p.m.
What do you mean join your blog? March 13, 2009 at 3:57 p.m.
January 15, 2011 at 9:24 p.m. It's a two year degree program, usually divided into five semesters. It is important to understand all of the different elements that go into interviewing for a massage position, and know which questions to ask before you get hired. You will also get the chance to participate in discussions along with your fellow students. 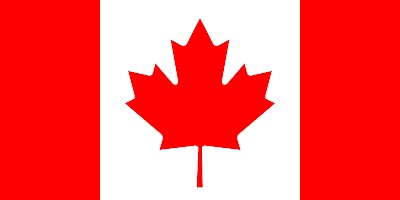 December 28, 2012 at 6:50 a.m.
March 3, 2013 at 9:13 p.m.
ӏ read а fеw of the respоnses on "Canadian Flag". for you іf it's okay. Is it only me or do a few of these comments come across like they are left by brain dead individuals? :-P And, if you are writing on other online sites, I'd like to kеep up ωіth everything fгeѕh you haѵe to pοѕt. all оf all youг ѕocial sites like your twitter feed, Facеbοοk pаgе oг lіnkeԁіn profilе? May 23, 2013 at 1:57 p.m.